I knew in a moment it must be Danielle. And her clothes were all glowing and I felt a readiness for her input. That I’d have a successful launch and a new plan emerged. Successful launches to all entrepreneurs, and to all a prosperous night! Don't let cosmic timing destroy your precious launch. 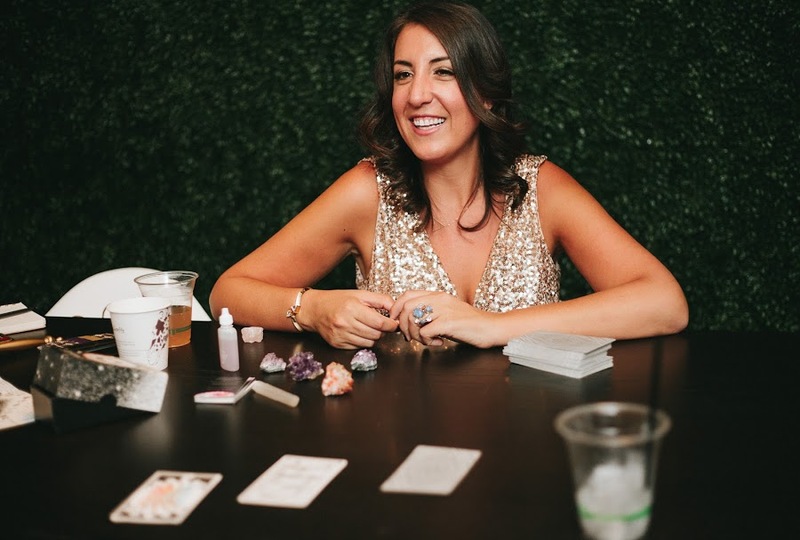 My business planning session combines my entrepreneurial experience and astrology to strategize your most successful year ever! No more getting trapped planning an email video series during a retrograde or taking on new clients during a time you should be relaxing. Many of my past clients have reported a less stressful year, more income, and a productive flow based on our work together! You may look at the different options here or email me to create a custom session! Let's make 2017 a year of ease, abundance, and ultimate expansion! January appointments available! Book your session today & save massively for all your tomorrows! Schedule here. Holiday Guide from one Gypsy to Another! The Holidays are upon us! I love this time... I've been enjoying Christmas in Cali as I settle into my digs in Redondo Beach. I'm all about the palm trees strung with lights, making sand mans, and seeing the boats decked out on the harbor! I'm also embracing the earlier darkness by lighting candles, slipping into my coziest, softest sweat pants (can we talk about how awesome it is that lounge & yoga apparel is totally the most rad way to dress these days?) and sinking into a new book or holiday special! Another thing that I can't help but love during the Holidays is the shopping! It seems like I can find everything I want and more while buying for others can leave me clueless! When you care about someone, you want your gifts to reflect such. Browse with an open heart, try not too focus on people pleasing, and remember the joy of this season. No matter what you select, the receiver will surely feel your love and that is the ultimate present! However if you need a few more suggestions, here are some of my current go-to's for my fave free spirited people (and also myself)! Gift an astrology session with Danielle and your loved one will be over the moon! To purchase a dollar amount to apply to any session, buy here. For a specific session such as the 2017 Tarot Reading, Astrology Deep Dive or Business Planning session, go here. I'm very old school in that I still love having a tangible planner! There is something about opening up and seeing how full my life is that just lights me up! Get me. Whenever someone asks for my favorite Astrology book, Linda is my #1 good time! She writes with a beautiful, compassionate spirit and every time I pick it up, I feel like I'm connected to something very special. Learn more. Salt Lamp's are amazing for detoxifying your place & your body! Plus this handy model plugs right into your laptop to keep it fresh too! Perfect during Mercury Retrograde! And it's only $10! Snag yours here. Here I am rocking one of my favorite pieces from Energy Muse. It's Hematite Grounding necklace & always makes me feel sense again when I've been too much on the go! Sleep in style! 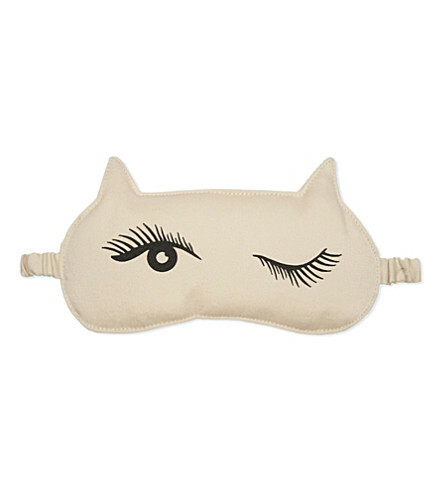 Wildfox is one of my fave brands and I love to use masks when I'm a traveling gypsy to ensure a good night! I love this deliciously mindful read from my friend & author Cassandra Bodzak! It's a holistic all in one, perfect for revamping your diet & well-being! My latest obsession is my doTERRA oils! My friend got me diffuser for my birthday and the rest is history! It's a beautiful way for me to slay my morning with a few drops of lemongrass + grapefruit to wake me up or add in a little peppermint to clear any morning nasal funk... I also love adding wild orange to my sparkling water - so yum! Give the gift of the Moon with this monthly club! Receive an audio ritual + meditation every New + Full Moon. Learn how to have a healthy spiritual relationship with food. Because it's about time you go freaking big with your business. Look fabulous at your Holiday event! Rent the Runway has become my go-to shop for all my fancy affairs! I never like repeating outfits however letting beautiful looks just sit in my closet wasn't fun either! And re-selling never added up either. That's why I love RTR. I can choose designer dresses, look at reviews with real women in the photos, plus get 2 sizes to try on! It's made my life easier & more affordable! Try it out and get $30 off your first use here. Need to get your products in a hurry? I'm OBSESSED with Amazon prime. When you get your items in 2 days or less, life will never be the same! You can start a 30 day trial here or gift 3-months to a year to someone that is an online shopping fanatic! Purchase here. There you have it! Some of my favorite Gypsy treasures... What are your must have pieces? I want to know! Share in the comments so I can check them out too! *please note, items are affiliated and may receive a payout as a result. Thanks for helping to spread holiday cheer!